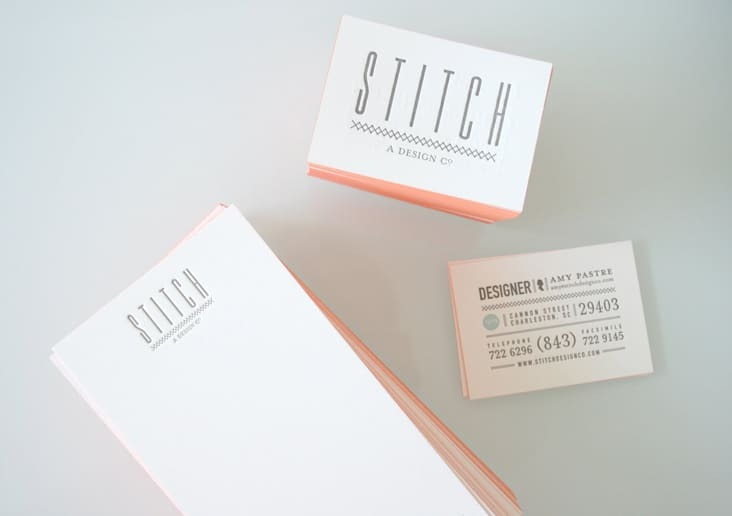 Stitch Design Co. 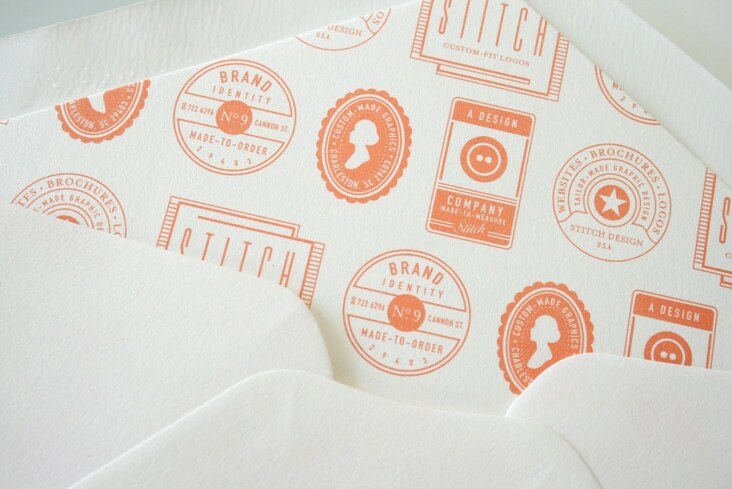 Identity « Stitch Design Co.
At long last, the Stitch Design Co. stationery package is complete. 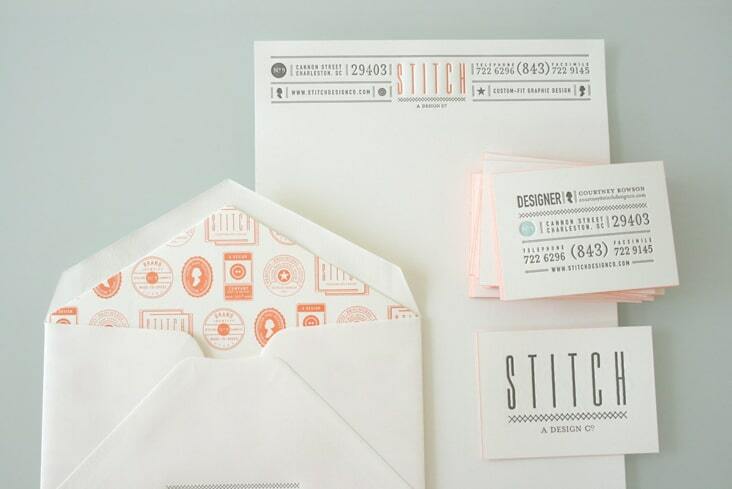 We designed this set to be simple and clean while incorporating type and imagery that give a nod to our name, Stitch. 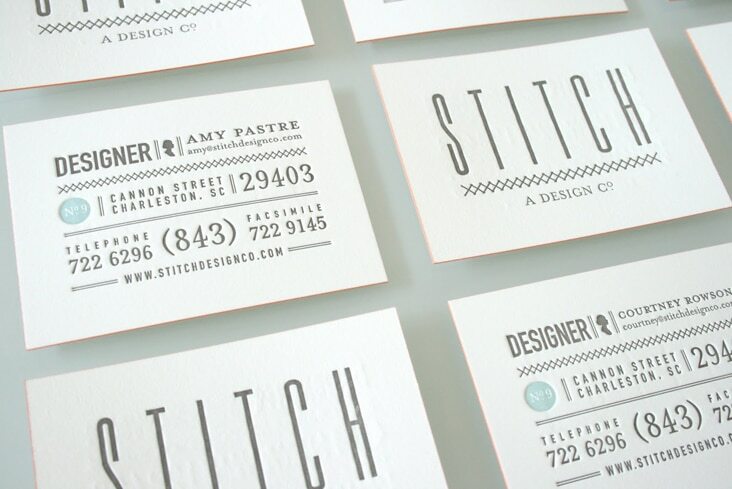 Our sister company Sideshow Press did the letterpress printing. it would be impossible to love these any more than i do. the orange is gorgeous. very nice! i love the combination of colors! These are awesome! Beautiful job. I've always wanted to know how you get the paper edges to be colored? 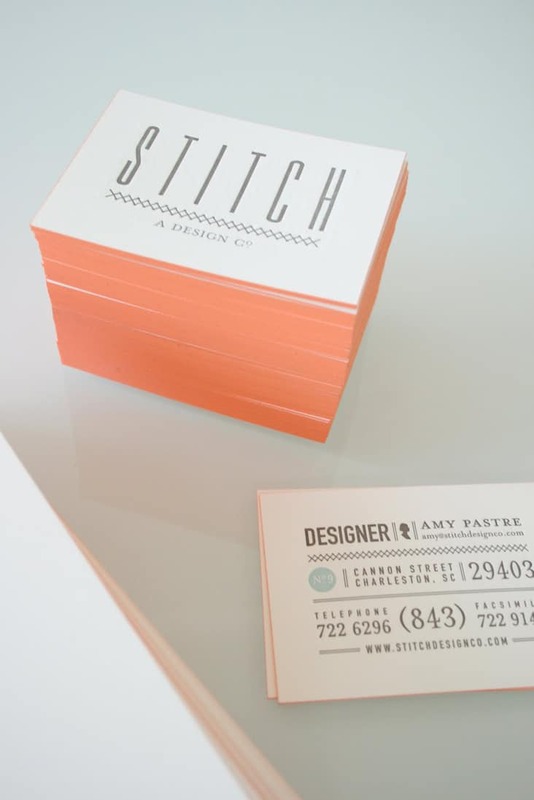 I'd love to try that for my business cards.